We love our new awning. Working with Mr. Coverall and Cecil was great. They were very professional and would recommend them to all. Mr. Cover All exists to help our customers enjoy the outdoors in beautiful British Columbia because quality of life is a precious commodity. Creating additional living space that enhances your current living area and daily quality of life is our goal. You may choose to retreat into the creature comforts of your home’s interior, but we at Mr. Cover All would like to offer you an opportunity to enjoy your outdoor space all year round with some of the industry’s finest European and Canadian-made patio canopy covers, retractable awnings, exterior roll screens, and security roll shutters. Lifetime Patio and Deck Covers are custom designed by Mr. Cover All and manufactured by our partners to your unique specifications and budget. Every patio and deck cover is specifically engineered for use on different styles of residential homes, commercial buildings and businesses. In addition to being a functional outdoor shelter, a patio or deck cover adds an entirely new dimension to your outdoor living space for year round enjoyment. Deck & Patio Covers are available in 3 different materials, or any combination of the 3 materials. a. Aluminum Patio and Deck Covers. b. Glass Patio and Deck Covers. c. Acrylic Patio and Deck Covers. Custom engineered designs and colours are meant to showcase your home by expanding your present living area and by creating an attractive outdoor living space. Properly designed custom patio covers don’t leave anything to chance or improvisation. We have your roof system properly engineered, and our professional installation team makes sure your vision comes to life which adds value and quality of life to your residence. Smooth style fascias for a finished look can be color matched to your existing fascia board. This gives a seamless, uniform look to your house and your new patio or deck cover. Engineers use various sizes of I-Beams and Posts to accomplish different types of designs. Because each installation has specific structural and physical attributes, engineers’ design each system with industry appropriate beam sizes and materials for the load required. Engineered to meet or exceed all building codes across North America, our patio and deck covers are built to last and resist corrosion. All Patio Covers are manufactured in Canada and have Canadian snow loads in mind. Skylights of various types, styles and materials are available for all of our covers. 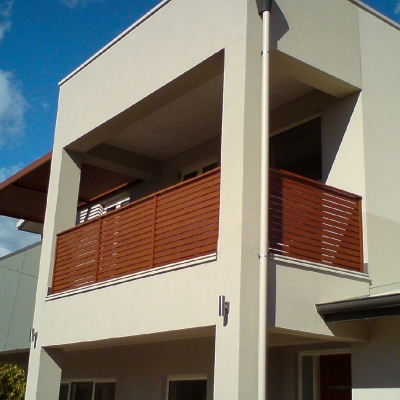 All Patio and Deck Covers are designed with our Lifetime Railings in mind so the two blend seamlessly with each other. Enclose your cover with power screens from Rainier to create the ultimate outdoor space, our screens are totally customizable in frame color and fabric style.